It Is Actually Less Expensive To Hire Us Than Do It Yourself! WHATEVER Your Need We Can Protect And Help Your Business Grow. ESTABLISHED Clients Never Get Charged Overtime And Have Access To 24/7 Service And Multiple Discounts. WITH THE DISCOUNTS Available Via ThinkJP.Consulting, Client Savings Are Often More Than Our Entire Monthly Fee. WE ARE WELL-KNOWN For Quality Work Including Work With Servers, Networking, Computer Systems, Music, Multi-Media, Websites, Domains, and Email Clients. OVER 35 YEARS Experience With A Fully-Certified Professional Staff. 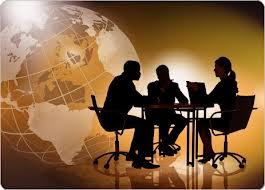 DECADES OF INTERNATIONAL EXPERIENCE Including Government, Military, And Banking Industries. Yet We Remain Irresistibly Affordable For Small Private-Sector Businesses! NEARLY EVERY DAY We Work With Clients To Develop Individualized Crisis-Prevention And Crisis-Management Contingency Plans, But We Don't Stop There! If/When A Catastrophe Should Arise, ThinkJP.Consulting Will Be Right There With You With Decades Of Successful Experience In Helping You Recover From Varying Disasters i.e., Virus & Trojan Attacks, Lightning, Tornados, Hurricanes, Fire, Theft, Employee Sabotage And Many Others. WE HOST & DESIGN Hundreds Of Websites, Domains, And Email Clients From Simple Inexpensive Sites And Packages To Complex Corporate & eCommerce Sites. OUR AWARD-WINNING MUSIC & MULTI-MEDIA SERVICES Are Well Established In Many Areas Including: Convention Displays, Music & CD Production, Musician Support, And Voice-Over Commercials. We Even Write & License Original Music & Lyrics For Whatever Your Needs. IT WOULD BE A PRIVILEGE TO WORK FOR YOU TODAY!